Boasting a phenomenally unspoilt landscape, Costa Navarino is a breath taking location for relaxation and adventure holidays alike. 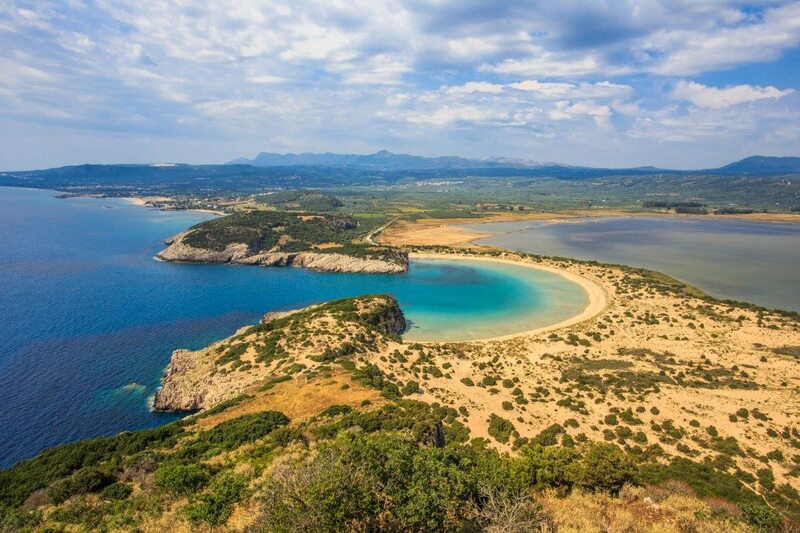 Located in the south west area of the Peloponnese in the Greek region of Messinia, the sparsely inhabited Costa Navarino is home to some absolutely stunning flora and fauna. Although the area is largely untouched by mass tourism, award winning sister hotels The Westin Resort and The Romanos Resort sit together in a secluded paradise on the coastline. As the family friendly resorts share some of their facilities with each other there’s a vast array of dining, spa and sports amenities. The aquapark, bowling alley, cinema and children’s clubs ensure that there’s activities for all ages. The abundance of impressive features on offer create a self-contained village, so despite the lack of towns or other hotels nearby you will never be short of things to do or places to eat. Voidokilia Beach is south from the resort along the coastline and is arguably one of the most beautiful beaches in Greece. Its shape is similar to the letter ‘omega’ in the Greek alphabet which keeps the bay largely sheltered from the wind. While the lack of tourism in the area means the beach is very clean, there are no cafés, shops, sunbeds or parasols so it is recommended you bring your own refreshments and things to sit on or under. Golfers are extremely well taken care of on site, starting with the Pro Shop which offers the latest in golfing equipment. There’s also the 3,500m² Dunes Clubhouse, an incredible space in which to socialise, relax and look over the Dunes golf course from the elevated open terrace. The Dunes course was designed by former Ryder Cup Captain and US Masters Champion Bernhard Langer in association with European Golf Design. Having been designed by experts in a jaw dropping location it’s no wonder the course is award winning. The Bay course focusses more on strategic play and positional golf, allowing you to challenge your skills and learn new ones. Both courses open at 8am but close at slightly different times with the Bay Course closing at 6pm and the Dunes Course closing at 6.30pm. The last tee time for 18 holes is 1pm. Pricing information is available on inquiry from Costa Navarino Golf. The stunning surroundings of the resorts can be explored on bike or on foot. Cycling tours take you along picturesque trails astride a top-of-the-range mountain bike. Alternatively, Nordic walking and hiking guide you past natural wonders and historical sites. You can even visit Voidokilia Beach. Proti Island off the coast of the Peloponnese is a new climbing area in Greece. Scaling different climbing routes is a challenge for both beginners and experts but the views from the top are a great reward and there’s even the chance to jump off into the clear waters below. If climbing on a real rock face is too daunting for you to begin with, the indoor climbing wall and lessons provide all the encouragement you’ll need. Navarino Outdoors can be contacted through the resort websites for hiking, rock climbing and walking information. A large amount of the activities available at The Westin and The Romanos resorts take place on or in the water. Or both if you capsize your kayak! Beginners and experts are welcomed to frolic in the stunning Mediterranean with expert advice from skilled instructors. Navarino Sea by Surf Salad is a surface water sports club offering kayaking, kite surfing, wind surfing, surfing and stand up paddleboarding (SUP) lessons or rental. They operate on Navarino Dunes Beach which is close to the resorts and one of the best surfing locations in Greece. For a unique experience Navarino Sea also offers SUP Yoga. Practicing yoga on a stand up paddleboard on the serene waves of the Mediterranean Sea is both challenging and calming. But if perfecting your downward facing dog isn’t the kind of activity you were looking for, how about something less calming and more exhilarating? 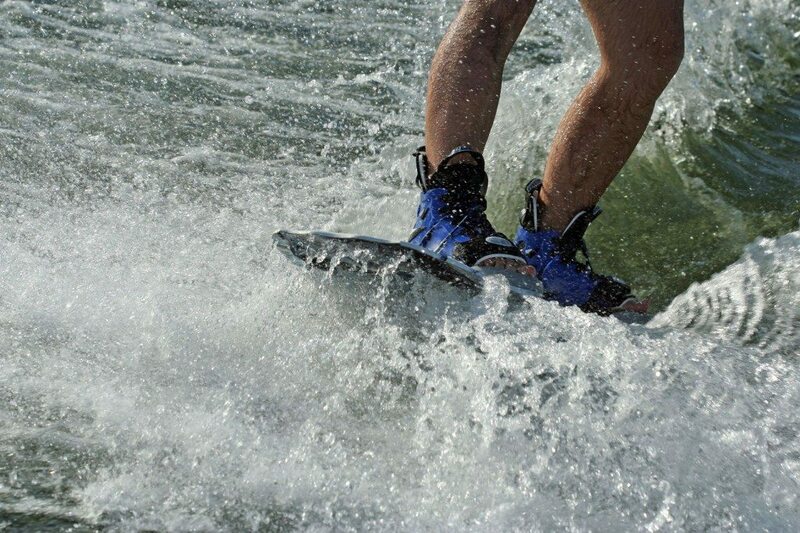 Adrenalin junkies will love waterskiing and wakeboarding. Although not a part of the club created by Surf Salad, windsurfing and wakeboarding are taught by skilled instructors along the coastline of Navarino. Take on the challenge as you test your balance, agility and master the Mediterranean Sea. Extra information and prices for watersports are available upon request from the resorts’ and Surf Salad’s websites. Equipment is included. As a sustainable area, Costa Navarino has some incredible underwater sights to behold including the rare Caretta Caretta turtle. With 15 different dive sites to explore, Navarino Sea Underwater by Aqua Divers Club with equip you with all the knowledge you need before heading into the depths of the sea. If you’re already an experienced diver, there are ‘tune up’ sessions to refresh your memory before you get going. 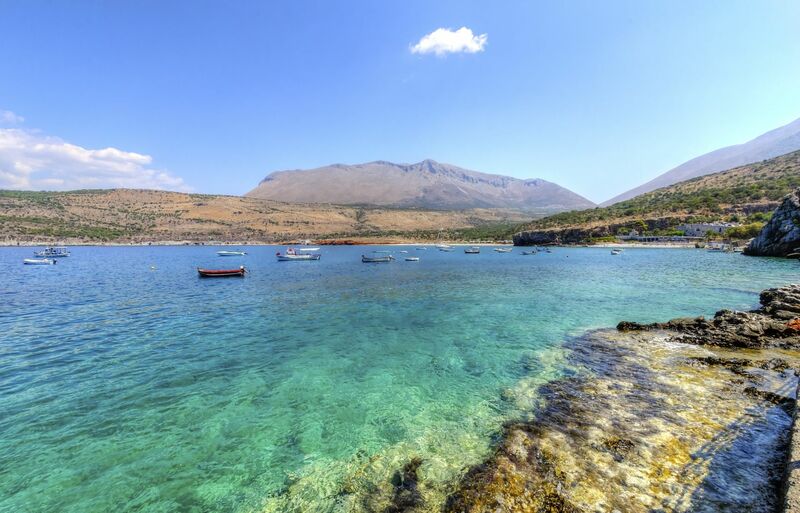 All dive sites are located off the shores of a small island called Proti, just north west of the Westin and Romanos resorts off the coast of the Peloponnese. Each dive varies in depth depending on your ability with some dives reaching up to 30 metres deep. Children with a minimum age of 8 years can get involved too with the Bubblemaker course. Basic dive theory, skills and use of equipment are taught before children take to the sea, diving to a maximum of two metres within the three hour course. Children who are a bit older (minimum 10 years) can take other courses including PADI Scuba Diver, a two to three day course in which you can learn to dive up to 12 metres with the help of a professional. There are also private classes and trips available. But for those not wanting to venture the deepest depths of the sea, Safari Snorkelling Trips are also available. Travel to Proti Island by boat in a pair or with your whole family. A guide will get you there as well as tell you everything you need to know about Proti and its wildlife. Prices of diving courses and expeditions are available on request through the resorts websites. All prices include 23% VAT, instruction, insurance, training material, rental of equipment, certification cards and refreshments. Transfers to destinations are free of charge. From a few hours on the sea to two days, Navarino Sea Yachting offer all sorts of sailing experiences. Aboard the Motor Yacht Ferretti or the Gib Sea 43, whip down the stunning western coast of the Peloponnese and behold sites such as the Diros Caves and islands Venetiko, Shiza and Sfakteria. Sfakteria Island is a historical site as a battle was held there during the Greek Revolution of 1821. A monument to honour the Greek soldiers who fought in the battle can be seen on the southern side of the island. An incredible aspect of these cruises is the ability to reach secluded beaches only accessible by boat. Enjoy the exclusivity of swimming in tranquil crystal clear waters before reloading the yacht and toasting a drink to Costa Navarino as you set sail to another site as beautiful as the last. Accompanied by an experienced skipper and their crew, your trip will be a breeze. Snacks, beverages and lunchboxes will keep you replenished throughout the adventure as well as fresh linen and towels. The boats have group departures but are also available for private bookings. Prices can be found on request through the resort websites. From relaxation to exhilaration, there’s no question that The Westin Resort and The Romanos Resort are exceptionally equipped with activities for people of all ages. Set in a great location with an awe-inspiring landscape, a luxury holiday to Costa Navarino will always be one to remember. If you like the sound of holidaying in Costa Navarino then pick up the phone and speak to one of our travel experts on 0800 008 7288. Alternatively, if you’ve had the pleasure of a previous stay, leave us a comment with your stories!